The melting snow and longer days are not just a sign that spring is just around the corner, but also a reminder that the KT conference season is coming up quick! Whether you are new to KT, or a seasoned expert, there are a variety of KT conferences across Canada that will help you make KT an integral part of your research practice. This week we’ve put together a guide to help you choose the right KT conference. Want to learn more about KT, but don’t have the budget or time for travelling? The Alberta SPOR SUPPORT Unit (AbSPORU) Summer Institute is an opportunity for clinicians, patients, students, policymakers, and researchers from a variety of backgrounds to network with like-minded people and learn practical skills in engaging patients in the research process. This year the Summer Institute provides an opportunity to learn about services the AbSPORU Platforms provide to help your project have greater success and impact. The keynote speakers for 2019 include Annette McKinnon, a blogger and patient engagement advocate; Dr Charlotte Loppie, Professor in the School of Public Health and Social Policy at the University of Victoria; and the popular Sickboy Podcast team. Looking to improve your ability to communicate health evidence to the public? The Science Writers and Communicators of Canada Conference brings together scientists, writers, broadcasters, social media experts, illustrators, and any other individual that participates in science communication. This year’s "Heart & Head" theme focuses on the North and Indigenous knowledge. Keynote speakers include Cree First Nation’s elder Wilfred Buck (The Star Guy) and Bob MacDonald from CBC’s Quirks and Quarks. The Canadian Association for Health Services and Policy Research (CAHSPR) Annual Conference is an opportunity for researchers, policy and decision makers, students, and patients to come together to advance and improve health care in Canada. This year, a new category of presentations by policymakers and decision makers will focus on new and innovative programs and policies. Dr Steven G. Morgan, Professor at the School of Population and Public Health at the University of British Columbia, Vancouver, will be presenting the 2019 Emmett Hall Memorial Lecture. Patient representatives are eligible for reduced registration rates! 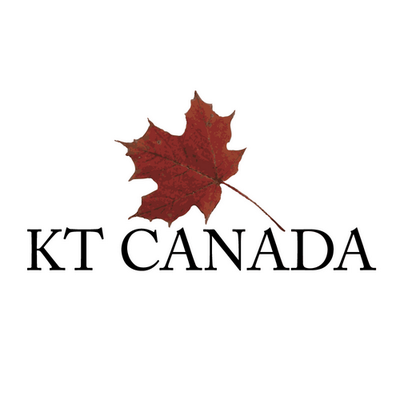 KT Canada is a research network that supports the development, implementation and sustainability of KT research here in Canada. Their scientific meetings are opportunities to network with other KT practitioners and to learn what are the most recent advances in effective and sustainable KT. The focus of this year’s conference is engaging stakeholders in integrated KT. The keynote speakers are Dr Ian Graham, Senior Scientist at the Centre for Practice-Changing Research at the Ottawa Hospital Research Institute and Dr Anita Kothari, Associate Professor at the School of Health Studies at Western University. Registration Fees: $350-$650 Patients and caregivers should contact the conference directly.